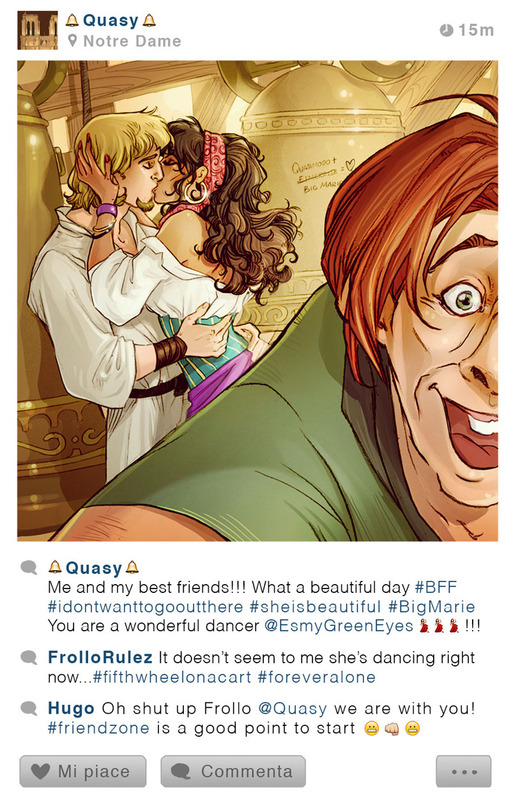 We are surprised that no one came up with this concept earlier because, seriously, Disney characters and Instagram are a perfect mix. Simona Bonafini is an illustrator and a graphic designer from Milano, Italy. There she graduated from the Politecnico di Milano and now enjoys the life of a freelance artist. Simona’s style is amazing and recognizable, while her ideas are fun and absolutely true-to-life. We believe many couples will recognize themselves in these selfies! For more of Simona’s works visit her Instagram or Behance. 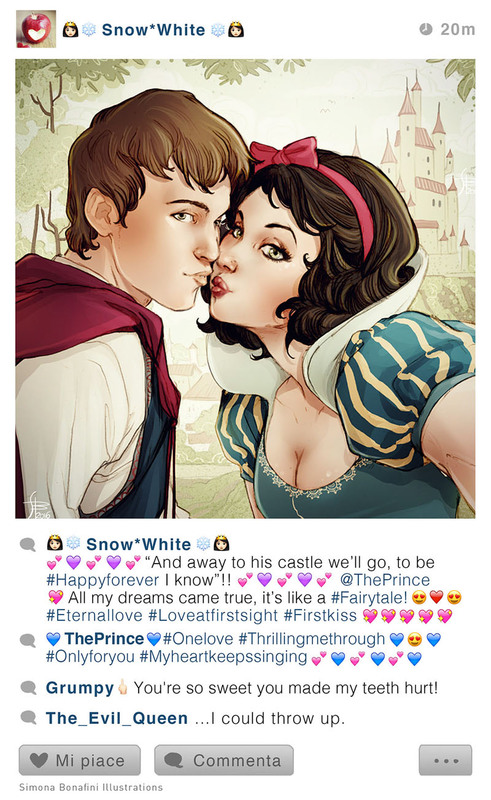 Yep, we think that Snow White and her Prince would look especially lovely on Instagram. Pay attention to comments, they are just as precious! 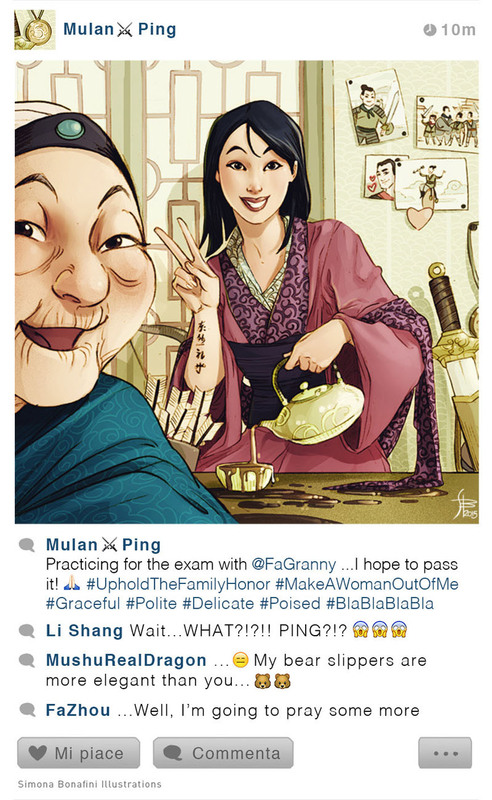 Mulan is a girl, after all, so more selfies, please! 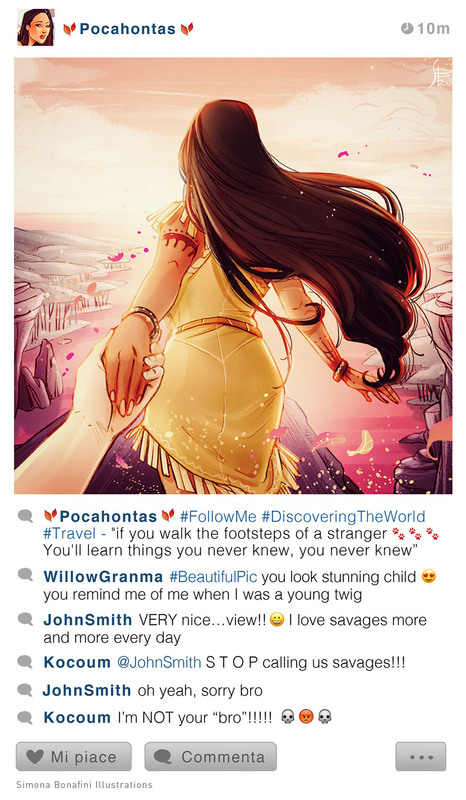 Now this is some picture-perfect travelling experience with lovely Pocahontas. Her family doesn’t approve, though. 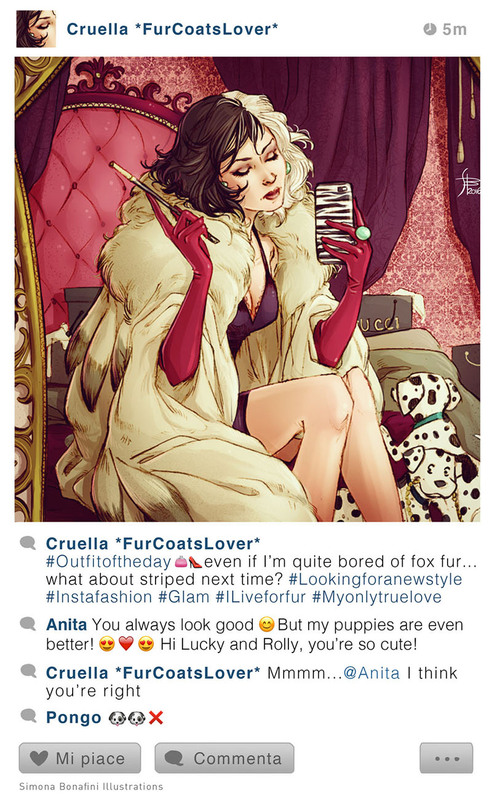 Cruella’s Instagram would probably be packed with all kinds of furs and coats. She’s a real fashionista! 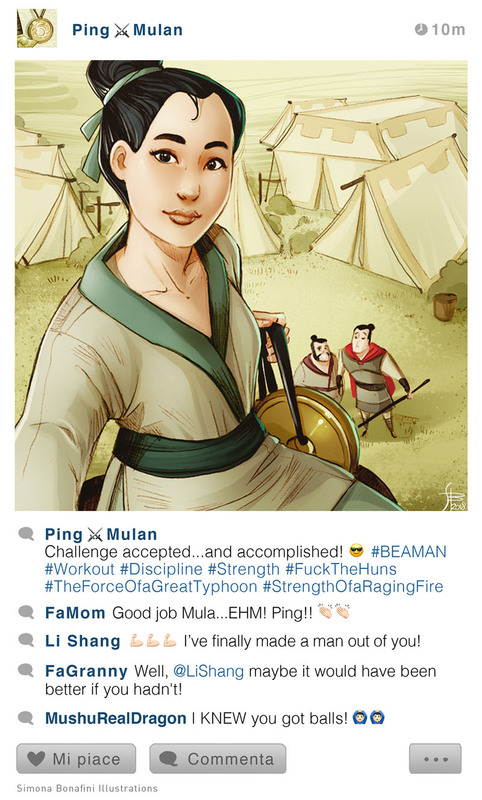 And just like that the truth about Mulan’s secret identity was uncovered. 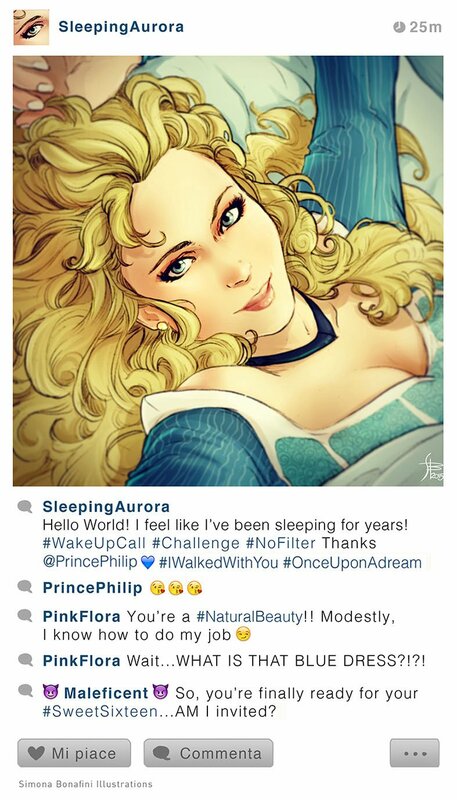 She’s called the Sleeping Beauty for a reason…What a gorgeous selfie! 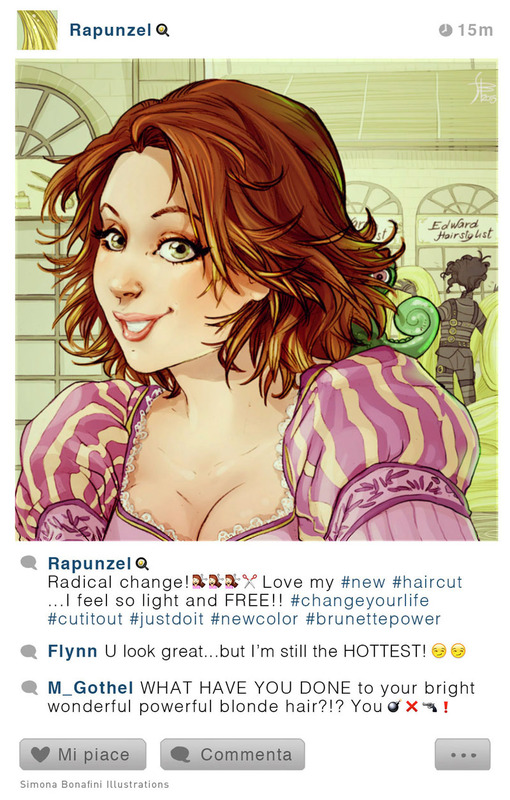 Rapunzel is showing off her new hairdo. Not everyone likes it, though. When your best friends have gotten together and you’re drowning in the feels. We totally get you, Quasy! 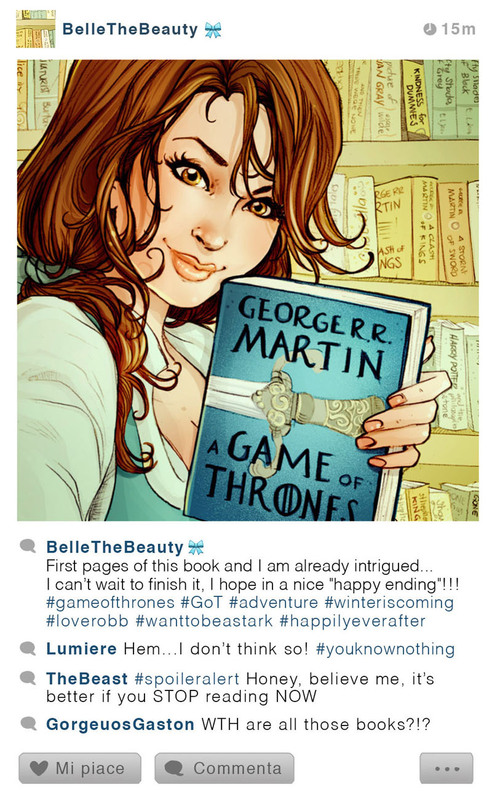 Belle is a modern girl who likes to read, so what else could she pick? But we have to disappoint you – there are no happy endings in the Game of Thrones, nope, not even close. 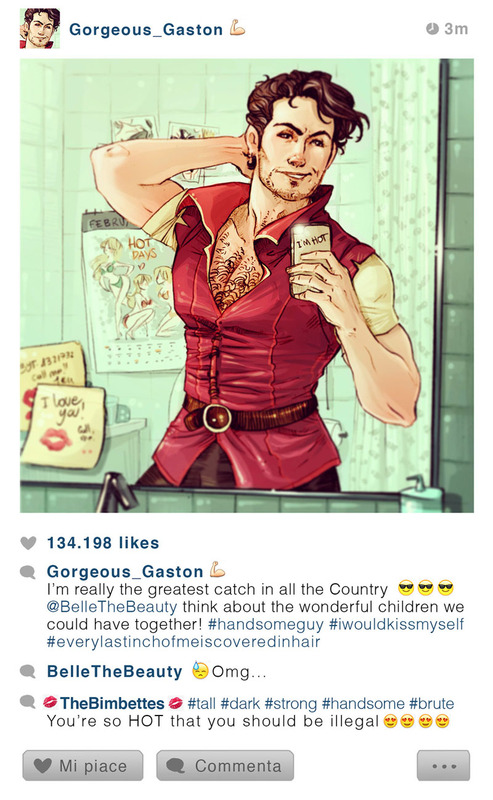 Yes, Gaston would probably be one of those narcissistic guys posting bear-chested pics of himself that you love to hate. 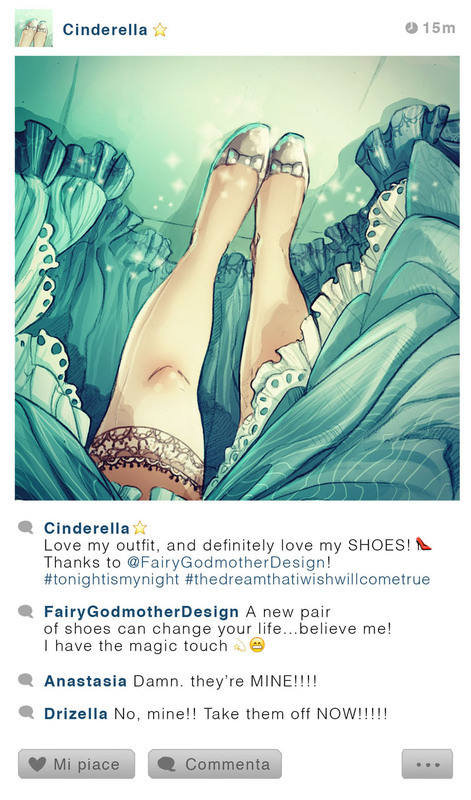 Cinderella’s showing off her new Fairy Godmother look and those shoes are to die for! 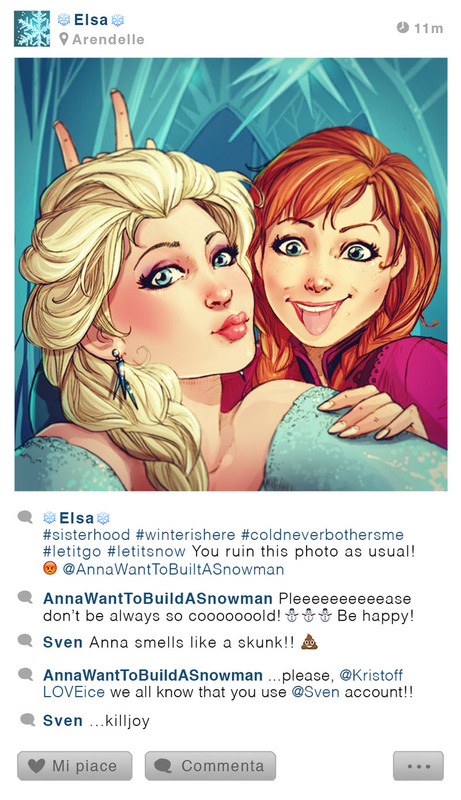 Elsa and her sis look adorable! 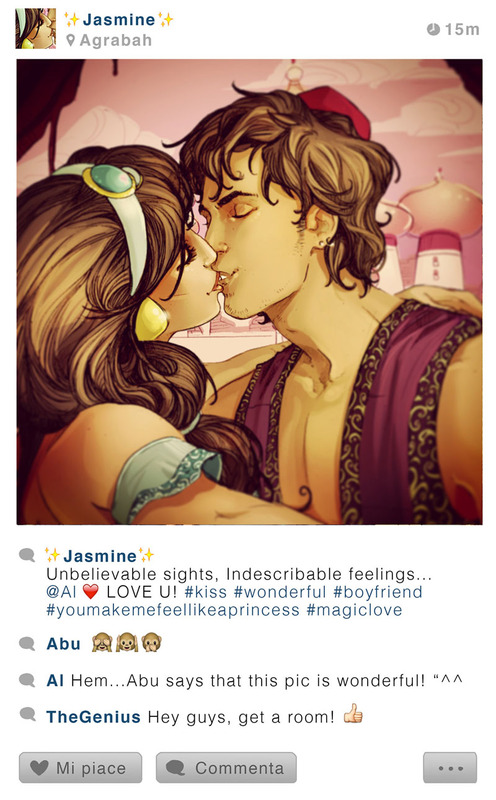 Aladdin and Jasmine would probably be the cutest couple on Instagram with millions of followers. 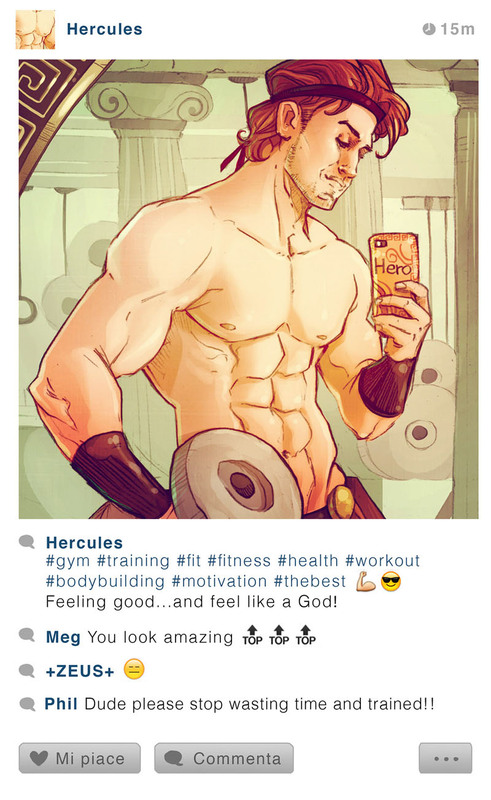 What does Hercules do in his spare time? Well, training, of course! 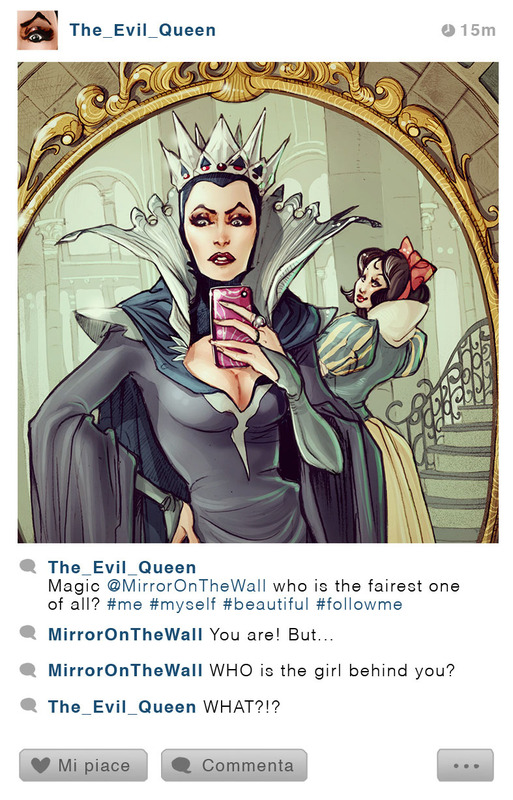 What do you do with a Magic Mirror that knows it all? Right, you make a selfie with it! 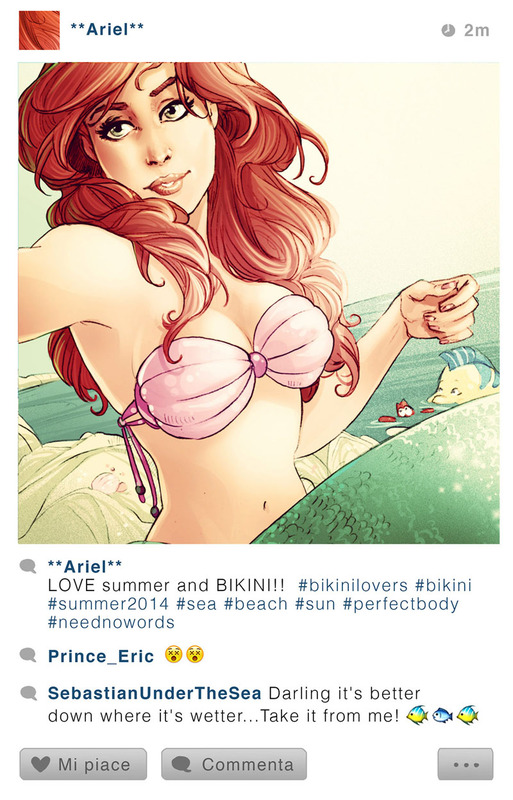 With or without a tail, Ariel is gorgeous beyond words.